Legacy Christian Fellowship is involved in international missions by supporting several missionaries as well as sending missionary support teams to support overseas missions work. You can view our international missionaries below. Katherine Steele is a young woman that our church met during our first mission trip to Cambodia. She manages the Children of Hope Home, a branch of the Water of Life Ministry in Phnom Penh, and is a mother to approximately 30 young boys and girls in the home. For more information about the Children of Hope Home and the work that Katherine is doing, please visit their website. Milan & Zita Tacheci are native missionaries in the Czech Republic. They have two children, Daniel and Charis. If you would like to receive updates from Milan and Zita, please sign up for their newsletter. Branden & Ernie Treu are missionaries in Cork, Ireland. 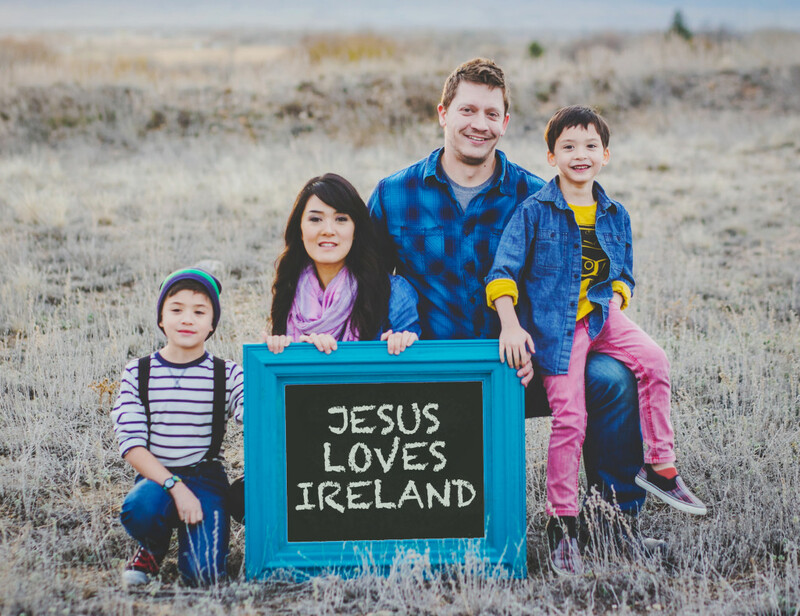 They serve alongside Calvary Chapel Cork, overseeing their Children and Family Ministries. They have two sons, Silas & Ethan. If you would like to receive updates from Branden & Ernie, please sign up for their newsletter. Rick & Jeannie Onstott are missionaries in Patzcuaro, Michoacan, Mexico. They have recently moved to the area with a heart for evangelism and to provide support for the local churches. If you would like updates on Rick & Jeannie’s work in Mexico, you can follow them on facebook. Darrell & Tere Reuss are missionaries in Patzcuaro, Michocan, Mexico, and they organize all of the short-term mission trips that our church takes to this area. Tere is a native of Michoacan. Darrell is the co-founder of an organization called Testify2Love, a para-missions organization built to support pre-existing missionaries and churches with their endeavors for evangelism and community building in Central Mexico. If you would like more information about Darrell & Tere or Testify2Love, please email [email protected]. You can also follow them on facebook. Ian and Milly Sebbanja are missionaries in Uganda. They are the founders of Bukolooto Christian Faith Center. If you would like to receive updates from Ian and Milly, please sign up for their newsletter.